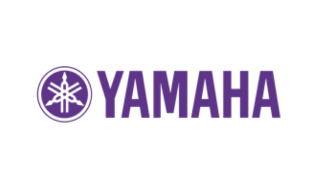 With AES back in LA this month, Yamaha Professional Audio will have a full house of new and existing products specifically geared to the professional audio, post, live sound, sound reinforcement and broadcast markets. The flagship RIVAGE PM10 along with CL and QLV4, TFV3 digital audio consoles, new TF Rack, R Series input/output boxes, SWP1 L2 network switches, NUAGE V1.8 advanced production DAW system, NEXO ID24 speakers, DTD controller and amplifiers will all be featured at booth 603, with active products in demo room 512. The Yamaha RIVAGE PM10 digital audio console is fast becoming the talk of live sound/sound reinforcement mix engineers around the globe. Comprised of the CS-R10 control surface, DSP-R10 DSP digital mix engine, RPio622 and RPio222 I/O racks, hybrid mic pre-amps with Rupert Neve SILK emulation, and a vast array of plugins, the system provides ideal flexibility to configure and match the scale and functional requirements of any application. The flexible NUAGE V1.8 system features tight DAW software integration, groundbreaking operability, modular architecture, and Dante networking capability, and provides full support for the VST multi-panner 3D surround plug-in included with Steinberg’s Nuendo 7.1, offering an ideal environment for Dolby Atmos production. Version 4 for Yamaha CL and QL Digital Audio Consoles is now available; over 16 new features are added including new EQ algorithms inherited from RIVAGE PM10, a secondary cue bus, and the MBC4 multiband compressor. Yamaha plans to successively update Dante equipped products that will add AES67 support, beginning with the CL/QL series digital mixing consoles and R series I/O racks later this year. The new Yamaha TF-Rack offers the same levels of performance and operability found on TF series mixers in a space saving rack mount design. Most operations are easily controlled via a large touchpanel allowing quick and efficient workflow, allowing both beginners and seasoned engineers to get great sound quickly. The Yamaha SWP1 L2 switches have been designed specifically for sound installation and live sound networking, with simple DIP switch Dante optimization and comprehensive graphical interfacing via Windows applications. The NEXO ID24 Series loudspeaker cabinet is a very compact, low profile, small format, yet high output single speaker for use under balcony, for front fill and side fill applications, and is the ideal accompaniment to NEXO line arrays in acoustically challenging spaces. Using a variety of mounting options, the ID24 compact cabinet can fit into almost any environment, offering high SPL output with variable directivities enabling it to ‘beam’ sound into difficult spaces. NEXO DTDAMP4x0.7 and DTDAMP4x1.3 4-channel, 1U rack-mounting amps are available in 700 and 1,300-Watt models (4x4 Ohms), each weighing in at just 16.5 pounds. The DTD Controller is the first NEXO digital controller to combine the sonic quality of the NXAMP and compatibility with amplifiers from other manufacturers.